When it comes to setting up a new aquarium, an often overlooked accessory is a biological cleaning crew. Sometimes referred to as bottom feeders, certain species of fish and other animals can be very beneficial for cleaning up the aquatic environment in your tank. Fish waste products and other biological debris will wind up at the bottom of the tank and can drastically decrease the water quality if left unchecked. Bottom feeders are perfect for cleaning this type of dirty water and restoring your tank’s water back to a pristine level. One such example of bottom feeders is shrimp. Let’s take a closer look at shrimp and see which variety might be best for your aquarium. 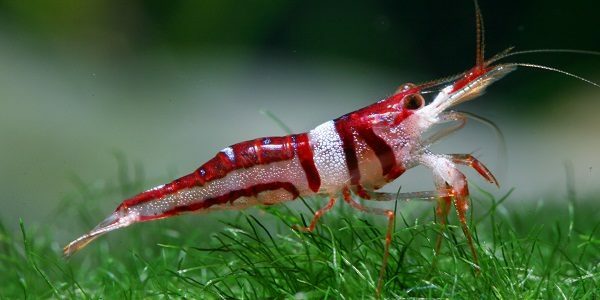 Possibly the most popular aquarium shrimp, dwarf shrimp species include Crystal Shrimp, Red Cherry, and the Bumblebee. Dwarf shrimp come in a variety of colors and are sure to add a splash to any aquarium. Bumblebee shrimp are striped, much like the insect they are named for, while Red Cherry shrimp are a vibrant shade of red. Dwarf shrimp may come in a variety of color, but not in a variety of sizes. Most are small, typically smaller than two inches, making them ideal for tanks of any size. Remember to add plenty of plant life to provide shelter and hiding spots for the shrimp unless you want them to turn into a meal for larger fish in the tank! Crystalshrimp and Red Cherryshrimp are noted as being quite resilient breeders given an ample food source and room to mate. Filter feeding shrimp are named for what they are best at:filter feeding! As with all shrimp, make sure to feed these species sparingly since they’ll be eating leftovers in your tank. This variety of shrimp is like miniature vacuum cleaners, eating waste products, microorganisms, and algae. These shrimp even have specially shaped claws that act as tiny fans, sifting nutrients out of the water. For this reason, they’ll need to live in a tank with actively moving water flows that will keep nutrients heading their way. These mini bio-filters will sustain themselves with byproducts found in your tank, but be wary of keeping guppies or mollies in the same tank for they are known to agitate shrimp and can raise tensions in the tank. Some species that fall into this group are Viper, Bamboo, and the Singapore Flower. Another great shrimp variety is the Paleaomonetes. This hardy variety is tough enough for most any tank, but keep a few caveats in mind. Most importantly, like all shrimp species, they are highly vulnerable to fluctuations in water quality. Leftover fish food flakes or oily chemicals that leave behind residue can damage the water quality, something that can be deadly to freshwater shrimp. Varieties of Paleaomonetes include the Ghost, the Glass, and the Pearl, which as you might have guessed from their names, have an almost translucent quality making them a great addition to any decor. They’ll eat many types of fish flake and pellet food, but they also like to snack on algae and detritus, so they’ll also serve as a type of cleaning crew for the tank. 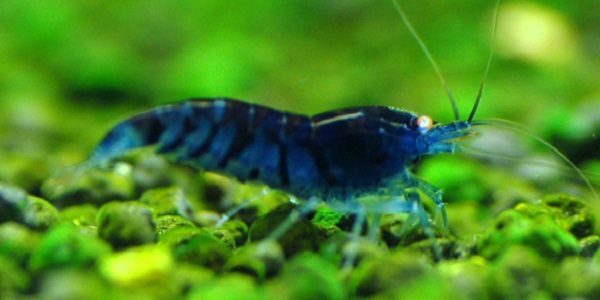 They do tend to be smaller than most of the other shrimp discussed, so much so that they are sometimes used as a food source for larger fish in the aquarium. Many people keep them as pets however, so if you’d like to go that route make sure to provide adequate hiding spots for them. They’ll waste no time when it comes to breeding, so if you have a pair, make sure you have ample room for the expecting mother. Also, have a food source for the young on hand, such as a liquid food solution, rotifers, or newly hatched brine shrimp. You’re probably already keeping to a rigorous cleaning schedule, but don’t expect the addition of shrimp to make this process any easier. Keep track of the water filter, the water temperature, and adhere to your water replacement schedule. As long as you keep a clean tank, your shrimp should thrive, adding an extra layer of excitement to any aquarium. Will the shrimp be compatible with a male betta in the same aquarium? I have Red Rili Shrimp with my Beta, as long as he thinks they are uglier than him your fine. Well, it depends on your betta. Certain bettas are actually not as aggressive. But some are WAAYYY too aggressive to be kept with/near other fish. They’re called fighting fish because they fight each other bro. They are aggressive fish and if they can get a hold of a shrimp They will surely eat it. There are some that aren’t as aggressive just like any kind of aggressive fish. If it were me I would get a couple cheap shrimp like ghost shrimp to put in with the betta. That way if it kills it you’re only out 50 cents compared to tens of dollars for better shrimp. I had a betta that would fight with anything in the tank. All depends on the fish. can golden stripe back yellow shrimp, blue velvet shrimps and similar type of shrimps be kept with small fish, I have one diamond tetra, two panda cory, two panda loach, ten cardinal tetra. All in a well soiled planted small nano aquarium.